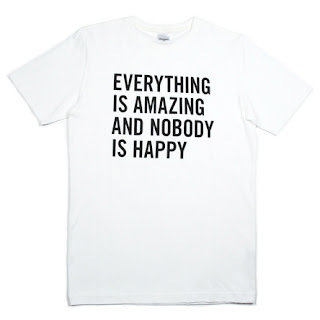 When I first came across the image of this t-shirt it immediately range true to me. Then when I Googled the saying I came across the video...all I can say is it is hilarious. It's 4-minute clip of the comedian Louis C.K. on Conan O'Brien. If you are in need of a laugh I encourage you to watch it.